It was then that a little light from heaven shone down…right into my fridge. And my heart and belly (and my Mommy-conscience) leapt with joy! 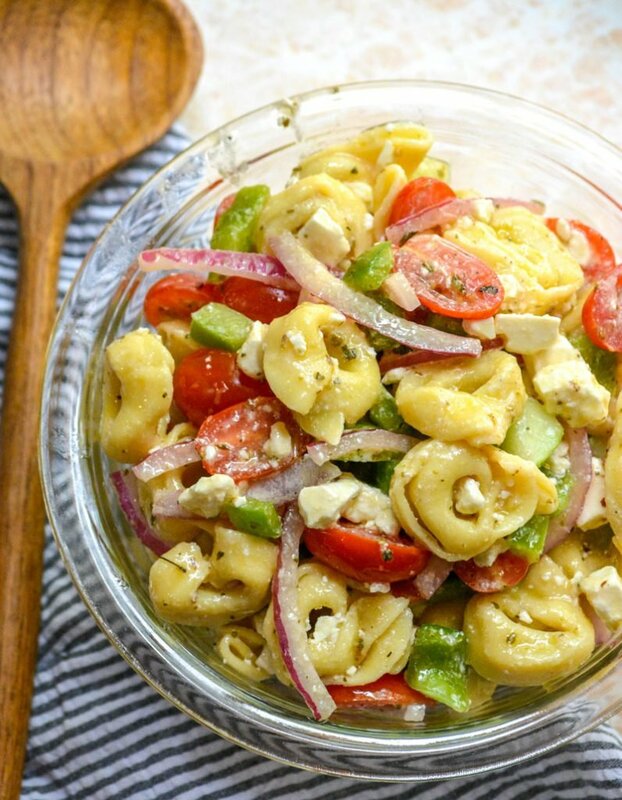 It’s easy with this Mediterranean Tortellini Pasta Salad. It was meant to be. You cook that cheese-filled tortellini according to the package directions. Then ya gotta cool them off in a cool water bath in a strainer. In the same vein, soak your sliced onions in an ice cold bowl of water. Yes, you should totally do this. It keeps them from leaching their colors, and from being quite as strong. 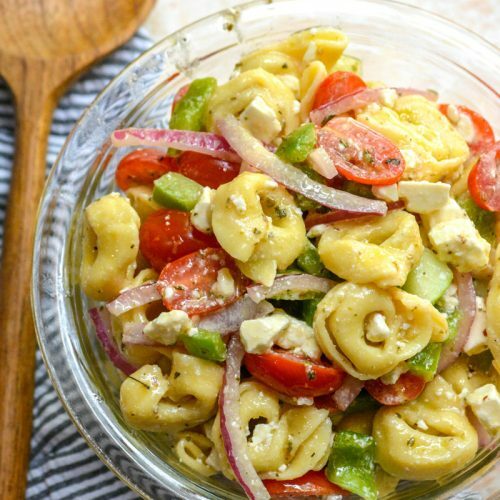 In a medium sized mixing bowl, toss together the onion slices, tomatoes, cucumber, pepper, cheese, and tortellini. Such a beautiful combination of Mediterranean essentials. The ones that count! In a separate bowl, whisk together the vinegar, lemon juice, sugar, oregano, and red pepper flakes. Slowly add the olive oil and whisk everything together until fully incorporated. Season with salt and pepper. Whisk together until you’ve got an easy Greek-style red wine vinaigrette in the works. 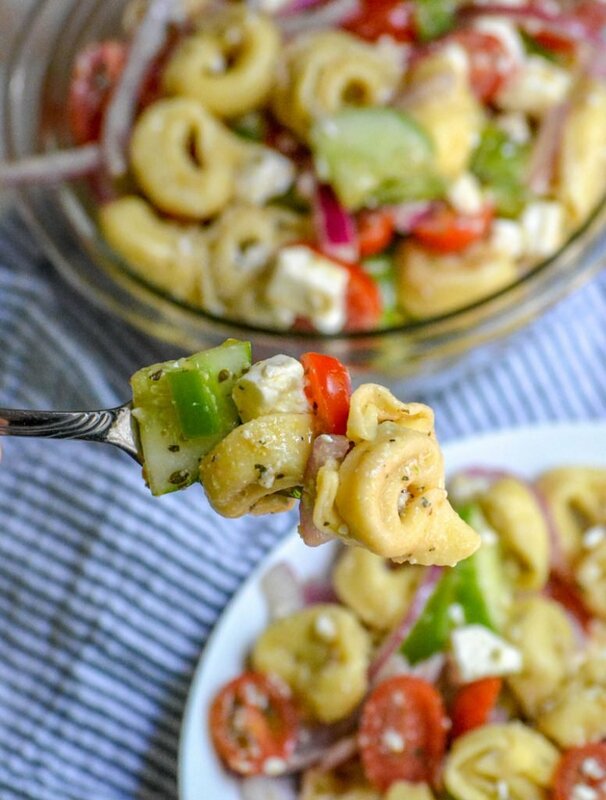 It may not be your traditional salad, or even pasta side dish, but this Mediterranean Tortellini Pasta Salad is where I’d want to look for a sensational, seasonal entree. It’s easy. It’s quick. It only involves a few ingredients, and it ends up being an amazing meal. 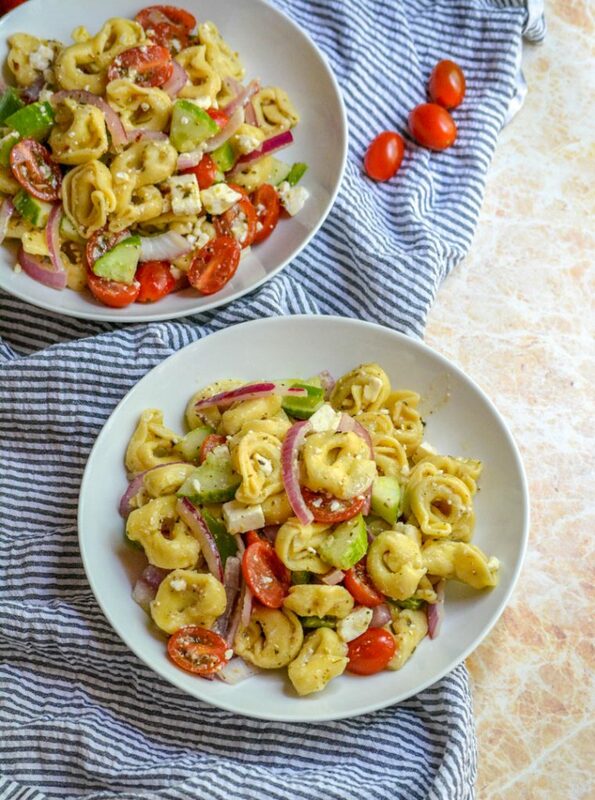 You can’t go wrong when you want to whip up a batch of this Mediterranean Tortellini Salad. It’s a great option got a vegetarian supper, a snack, or a yummy potluck option. 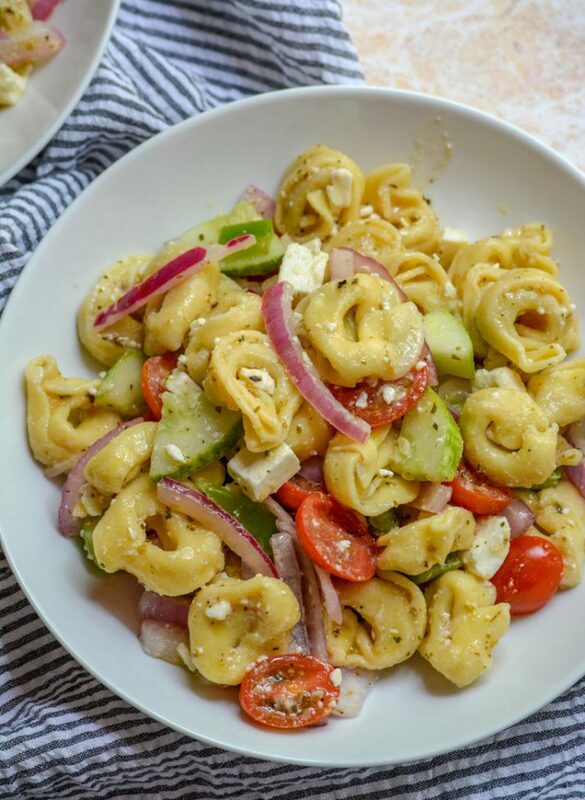 Other Tortellini Salads You Might Also Enjoy: Pepperoni Basil Tortellini Salad, Tortellini Caesar Salad, BLT Tortellini Pasta Salad, & Summertime Tortellini & Vegetable Pasta Salad. Cook the tortellini according to package directions. Drain and set aside. Soak the onions in a bowl of clean, cold water. Drain after 5 minutes. 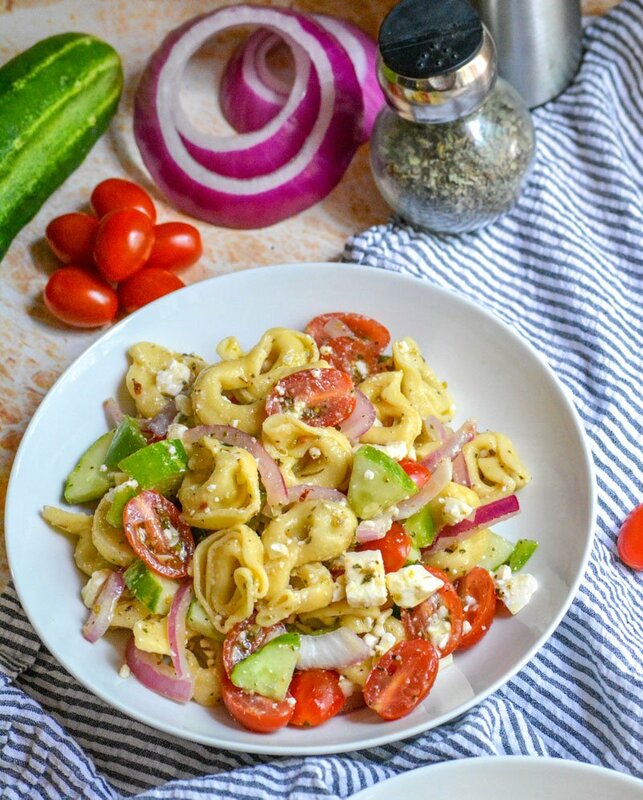 In a large bowl add the onion slices, tomatoes, cucumber, pepper, cheese, and tortellini. Gently toss them together. In a different bowl, whisk together the vinegar, lemon juice, sugar, oregano, and red pepper flakes. Slowly add the olive oil and whisk everything together until fully incorporated. Season with salt and pepper. 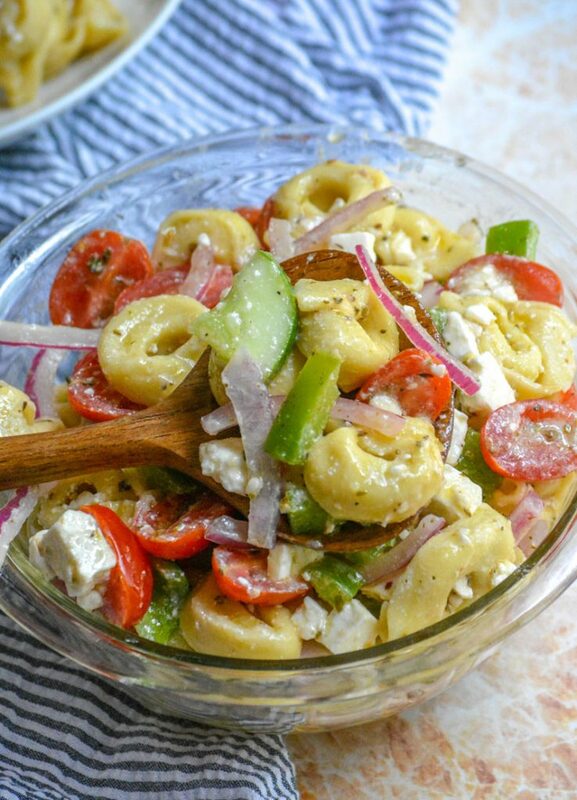 Pour the dressing over the tortellini salad and gently mix until everything's nicely coated with the dressing. Serve this salad warm or at room temperature. 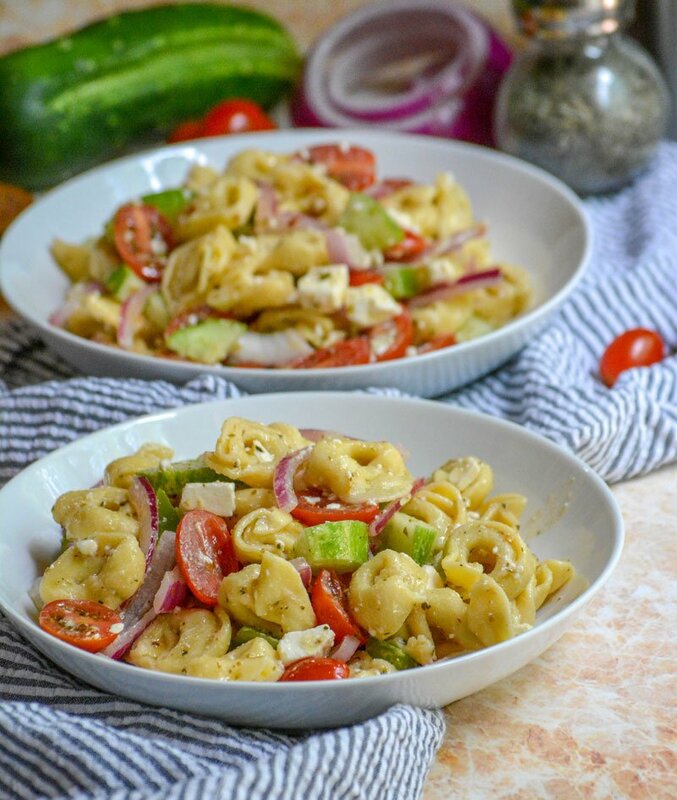 recipe adapted from Eats Well With Others Serving a crowd? No worries! The recipe easily doubles. Just don't cry any crocodile tears over the empty bowl that comes home and the fact that you have no leftovers to enjoy later on. Thanks, and I hope the holidays were wonderful at your house. Looks delicious, fresh and healthy, love all the wonderful flavour-yum! Thanks, Lily! The flavors blend fabulously. You are creative – and not just in the kitchen. Great post! Aww, thanks Hilda! I try, and here’s to hoping we’re creating some wonderful memories and palettes for the Sons! i like the use of red wine!! It gives it that perfect bit of bite amid all the other flavors. Superman’s got nothing on us Moms. Only we can heal a hurt with something as simple and beautiful as a kiss!! My favorite kind of food! 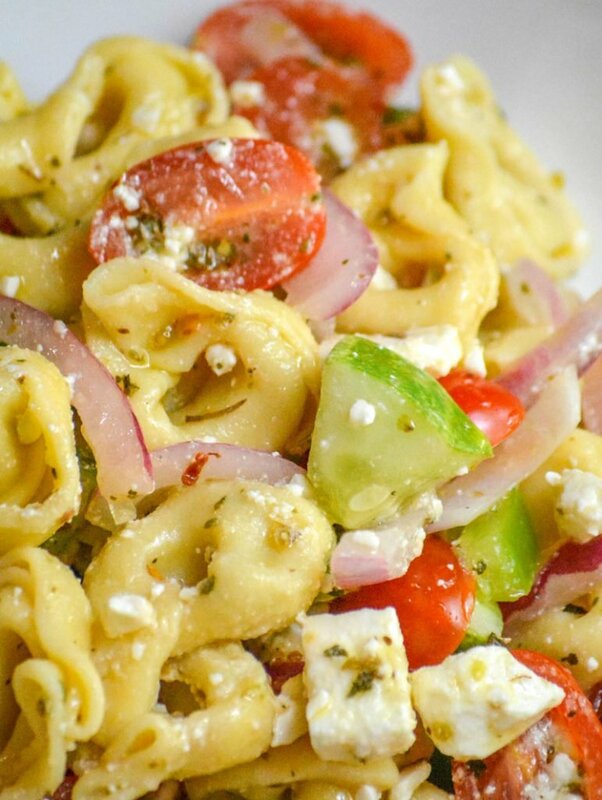 The tortellini salad looks delicious. 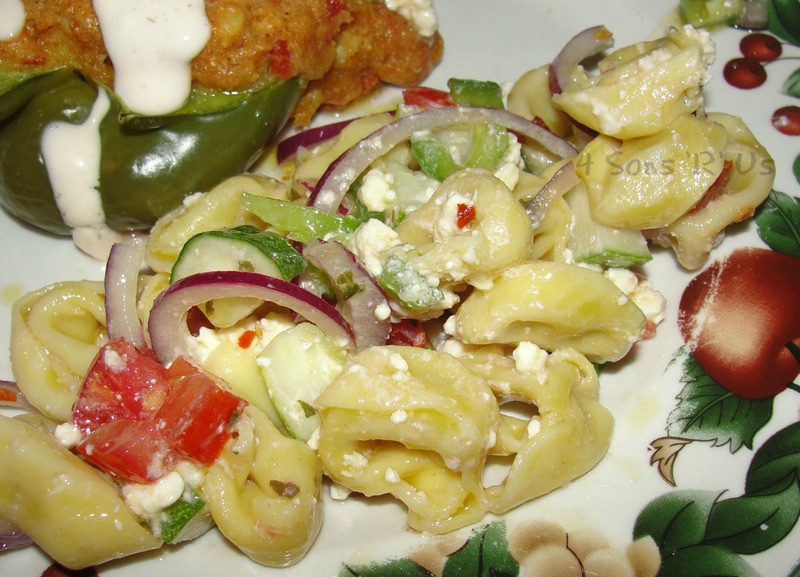 Thank you for sharing this recipe at Fiesta Friday.